As we continue to settle in this foundation and in this grid of Love and empathy, of Divine potential and of inter Dimensional creation, a lot is being absorbed by our beings and hearts. The energies are co-operating into a new divine system of Alchemy, where all the foundations of heart based feelings and creations are part of this new system and form the new system called Humanity as One race and One being. Therefore a new beginning arises from the depths of our being and system to this beautiful point of view where all that is been seen as lower Dimensional frequency will no longer exist nor linger in one’s reality. Dependency on outer forms and systems will continue to crumble, for there is only the independency of Self and being autonomous and self-reliant. Creations form the outer formation of one’s world and therefore a more grounded way of living is required in order to be able and create a stable and joyful experience of life. When one is grounded to the core and the heart of Mother, all that is passing through Her will reveal all that you are and that you ground into a great manifestation on Her reality. Therefore it is very opportune to stay in Love in a constant state of being, for one will reflect that to others as well. A refined energy is about to scalp this beautiful being that one is, out of the big and heavy husk that one has been forming for all these years of incarnation. As these refined energies move on into a greater level and pace, a most blissful state is being created where one will find Love again for Self on a much deeper level than before. Self Love is the key for ascending into the I AM Presence that one is from essence, for Love is what one is. As the sparks of the Beauty and Divine Feminine God Presence will flow and affect all the ones on Mother at this time, the God particles are being re-activated on such a refined and deep level of one’s consciousness that the entire Giant Cosmic web of I AM Presences is being laid as the foundation of our being at this time on a global and Universal scale. This is part of one’s being and is now reactivated on a conscious level of understanding. We must now bring the order of the day into fruition, which is the unconditional love to ones who are in great need for it, to ones who are finding themselves in great challenges in life and to ones who need forgiveness. Unconditional Love is a unmistakable part of Self that defines who one is and the other is. So share what one is to one who needs it, for it completes the Self into a most loving and gentle way of being. For now all is unconditional connected to one another and the Self is part of all that is; the Giant Cosmic grid of I AM Presences and the Source of God Presence of light. As we speak now about abundance and freedom, we speak of Love and ways of living, of exploring, of being and of expressing. This all is part of our being, part of cosmic creation and it is the right of being. As all forces now gently start to remove themselves from the planes of Mother, a place of freedom fits in and expresses itself to be born anew on this planet. Rejoicing is upon all of the ones who linger on the planes of Mother, for freedom is the way of being as a natural Self. 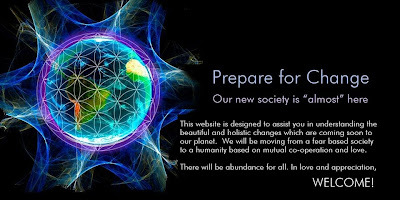 For now, these forces are gently taking their place out of the grids of the I AM Presences of Earth and resolving into another form of creation that is allowed by the collective of this oneness on Earth. So it is very important to be focused and to be gentle with oneself and with others, for creation comes from that state of Self and being. My greatest wish to share my energy is now fulfilled for this moment of now, until we speak later; My love and passion is send to all.